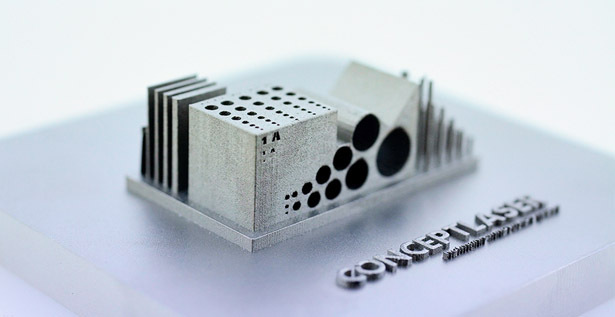 Concept Laser’s Mlab cusing® machine will feature on the ES Technology booth at the forthcoming 3D Print Show to be held at the Business Design Centre in London. 3D printing or Additive Manufacture now in direct metals, is possible with the Mlab cusing machine, and can been seen live at the 3D Print show. You will see for yourself how easy it is to build complex and custom parts, and showcasing Silver for the duration of the show. The Mlab cusing is aimed at markets that require smaller (less than 90mm x 90mm x 80mm) metal parts. For larger components, Concept Laser uses the established M1, M2, and the Xline 1000R which can build parts up to 630mm x 400mm. Since its launch the Mlab cusing system has generated significant interest from a diverse range of industries including automotive, Aerospace, Medical Device, Tool & Mould manufacturers as well as the Dental and Jewellery sectors. ES Technology are the UK and Ireland distributors for Concept Laser’s comprehensive range of LaserCUSING® systems and responsible for sales, marketing, servicing and support within these territories. The Goldsmiths’ Company programme in precious. The National Association of Jewellers (NAJ). Hockley Mint has invested in a.
AnchorCert Analytical, the AnchorCert Group’s analytical. GVUK director Graham Dicks said, this. United Precious Metals are launching a. Over the past ten months, Weston. Cooksongold, part of the Heimerle +. AnchorCert Analytical Launches World First! The AnchorCert Analytical Laboratory at Assay. Justin Wilson started out in the.